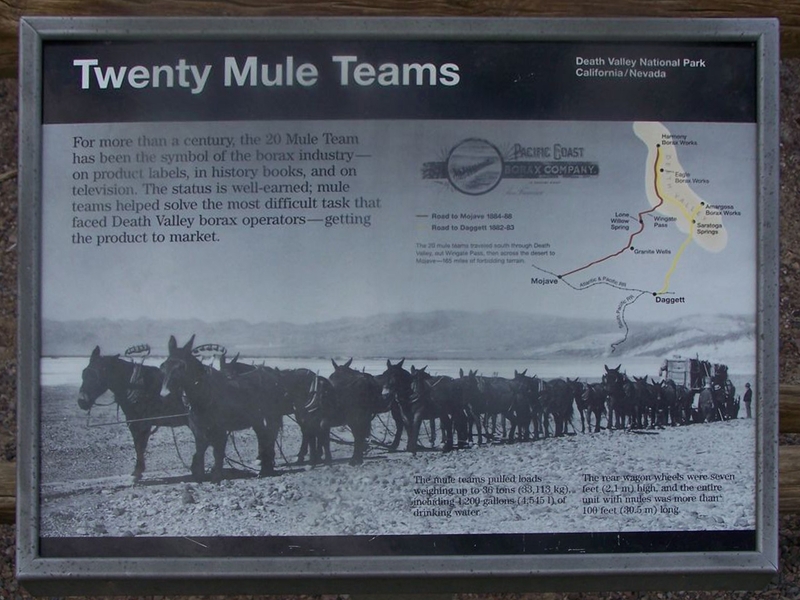 Additional Description: For more than a century, the 20 Mule Team has been a symbol of the borax industry --- on product labels, in history books, and on television. The status is well- earned; mule teams helped solve the most diffiult task that faced Death Valley borax operators --- getting the product to market. Submitted: June 16, 2010, by Mike Stroud of Bluffton, South Carolina.